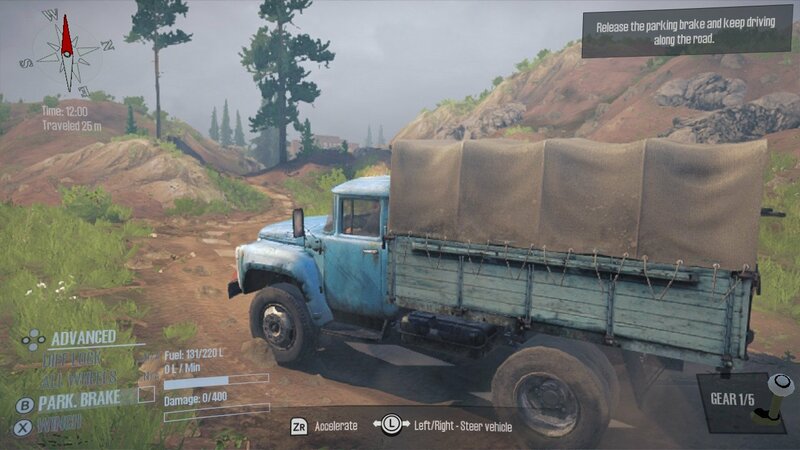 One look at the name Spintires: MudRunner – American Wilds Edition and we wouldn’t blame you for assuming this was just another off-road racer. Something in the vein MXGP 3 or Monster Jam: Crush It!, perhaps. But you’d be wrong. This is no speed-obsessed demon, but rather an unusual take on the classic driving simulator more akin to Euro Truck Simulator 2 or Farming Simulator: Nintendo Switch Edition. Yes, we just used the word ‘simulator’ three times in the same sentence. Starting life out as Spintires – a niche project built from the ground up by Russian indie developer Pavel Zagrebelnyj – the series was picked up Focus Home Interactive and NBA 2K Playgrounds 2 developer Saber Interactive, which proceeded to add in tougher missions and more overall polish while maintaining the key elements that made the original so popular among its small yet dedicated player base – namely a hyper-realistic approach to vehicle physics and ground deformation. Want to traverse a particularly rocky trail with your 4×4? Better take off your handbrake, enable all-wheel drive and lock your differentials so every wheel is turning together to stop your vehicle from tipping over and out of control. Driving a lorry and need to get up a muddy hill that’s turned into a bog? Better fire your winch and pull yourself up while steadily putting on the revs. It turns something as simple as escaping a puddle into an unexpectedly engrossing mixture of careful adjustment and gradual momentum. 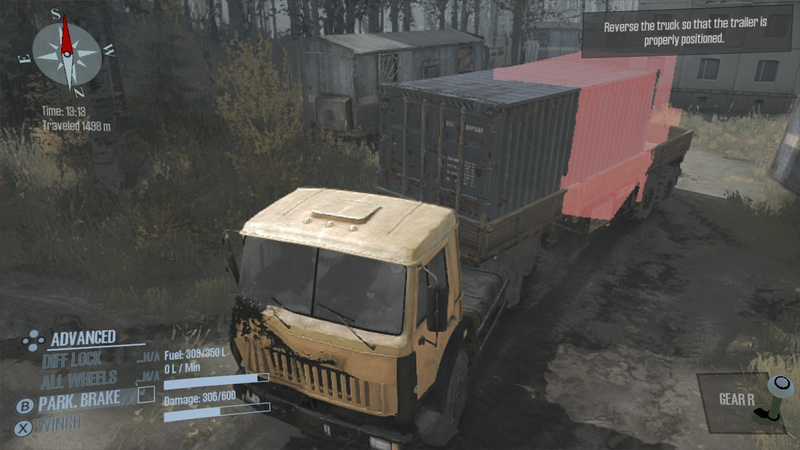 As a port, Spintires is impressively robust. The assets used to bring its Russian and American locations to life aren’t going to give The Witcher 3 any sleepless nights but that doesn’t mean they aren’t impressive in their own right. Water flows realistically. Trees bend and sway as you use them as anchor points for your winch and the ground deformation physics are really striking for a game running on Switch. Plus, all the vehicles have been rendered with bags of detail. Each one drives distinctly, and there’s a satisfaction to learning the capabilities and limitations of each one. Even driving around each map finding and unlocking vehicles has its charms, thanks to its slow and steady pace. 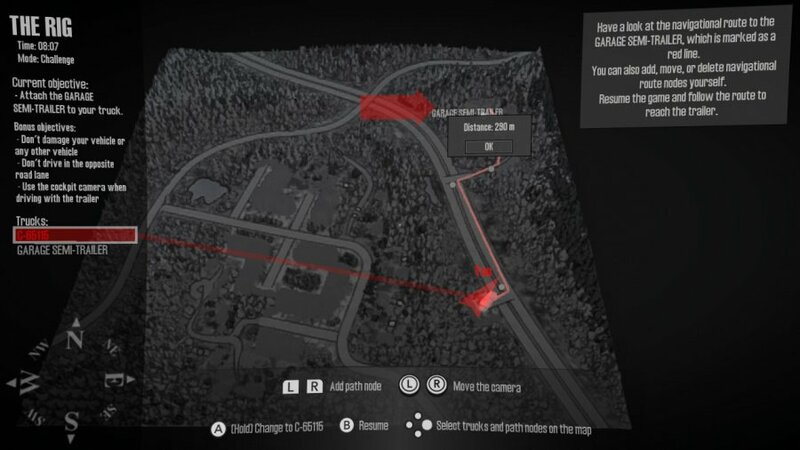 There are some frustrating design issues, such as the inability to set a marker that automatically plots the best route to a given location. Instead, you’re forced to manually plot your journey like pins and thread on a map. It fits the methodical ethos of the game, but it’s the kind of busywork that could have so easily been solved by simply taking note of what open-world games have been doing for years. There’s also no way to reset your vehicle when stuck – other than respawning at your garage – which does rankle a little after a long haul. 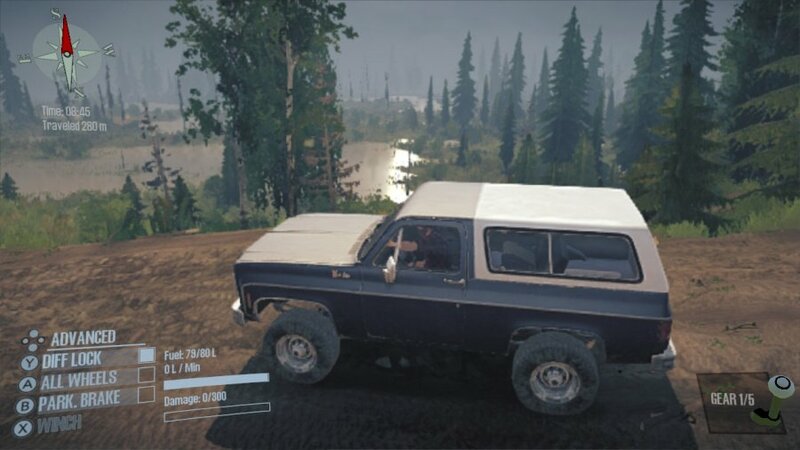 With Farming Simulator having no-showed Switch in 2018, it falls to Spintires: MudRunner – American Wilds to fill that very niche gap. While it’s still got some frustrating design faults that have carried over from the previous version, Saber Interactive has kept the core experience intact. The addition of the lush and verdant American wildness helps break up the dreary back roads of Russia, and whether you’re delivering logs on your own or fixing and refilling trucks in multiplayer, there’s a bizarre yet moreish satisfaction to be had. Now, when are we getting Euro Truck Simulator 2 on Switch?